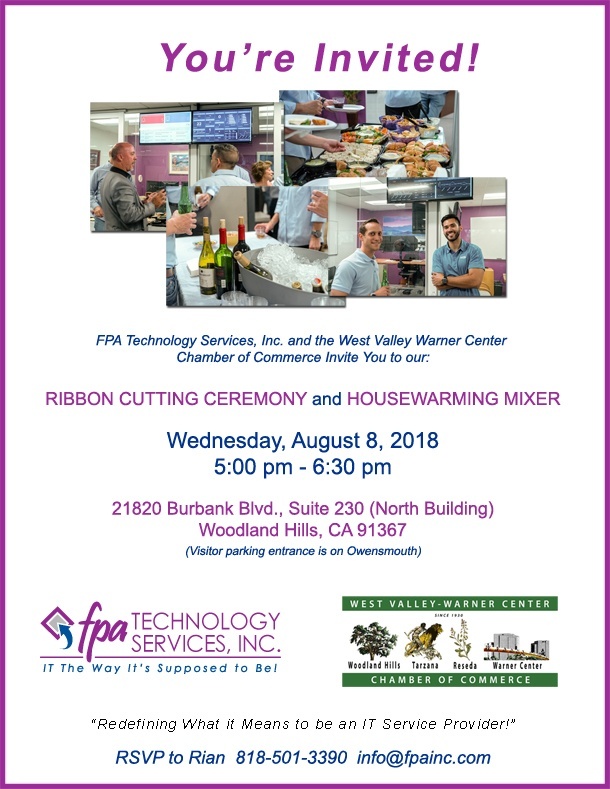 Thank you to all those who joined us for our official Ribbon Cutting Ceremony and Housewarming mixer as the West Valley Warner Center Chamber of Commerce welcomed FPA into the WVWC community of businesses. Our 2018 Summer Open House was filled with food, drink, fun, and good times showing off our new office location! We were joined by some of key security partners displaying their latest and greatest technologies. Along with this, we also had a magician working his magic (pun intended) along with a couple of valuable raffles. It was a great time! FPA's January Open House was an exciting event. 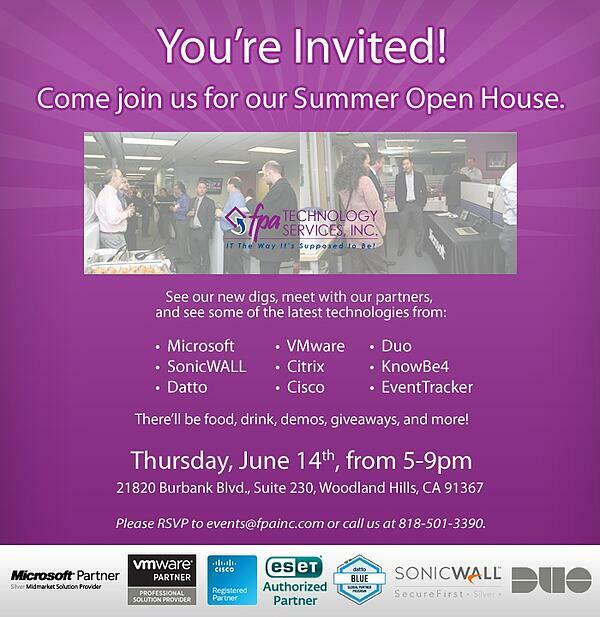 Our friends from Microsoft, Shoretel, and VMware joined us and brought out some of their latest toys. Don’t Miss out on expert IT Tips and Advice!